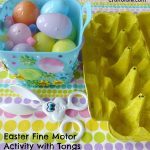 This Easter egg match activity is a fun seasonal game to play with plastic Easter eggs that works on fine motor skills. 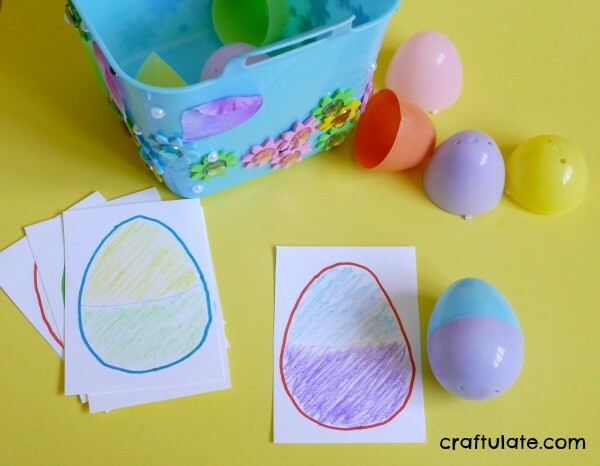 Draw several Easter egg outlines onto the card and draw a line across the middle to show the two different halves. Then colour each half differently to match the eggs. 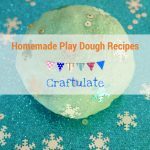 This would be a great activity for an older sibling to prepare for a younger one! 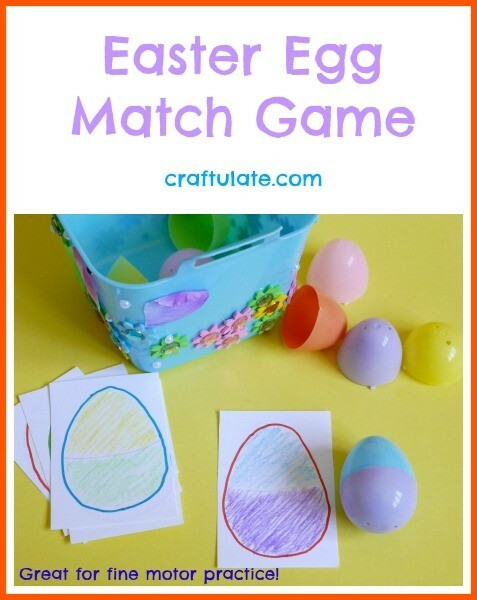 Either keep all the eggs together on one sheet, or cut them into individual cards. I only did six cards because I used six eggs. Then place everything in the container (I reused our Easter basket from last year!) 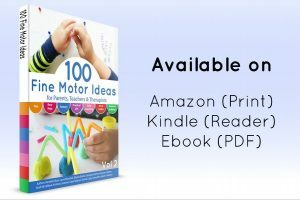 and present it to your child. F understood the concept of the game, although at the start he didn’t realise that the top and bottom halves of the egg were different, so tried to attach two top parts together. But once I showed him he happily worked through the cards. 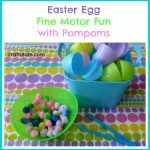 But those eggs can be quite fiddly to close together – it was great fine motor practice! 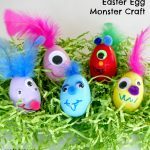 Although the concept of this was quite basic, I think we’ll be playing it several times this Easter. Perhaps I’ll time him to see how quickly he can do it! 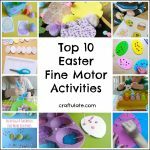 If you’re looking for more fine motor crafts and activities, check out what the rest of the Fine Motor Fridays team have been up to this week!